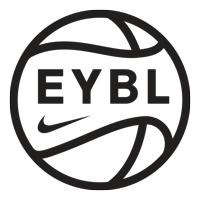 The Nike Elite Youth Basketball League is about to kick off its 10th season, and for the first time in history, the circuit will implement three new game-play rules. Check out the new league rules below, and make sure to tune in next week as we launch the 2019 ‘Welcome To The Circuit’ season preview. The most major change is the switch to the 24-second shot clock. This should lead to some high-paced, back-and-forth action that will make for a very entertaining brand of basketball at the 17-and-under level. With the new shot-clock and the adoption of quarters over halves, it’s highly-likely that possession counts will be higher than ever. In addition, a player guarding an opponent with the ball may be in the paint without actively guarding the opponent. The team committing a defensive three-second violation is assessed a technical foul. The offense receives one free throw and retains possession of the ball. To further clarify, several NBA teams play some version of a zone, but they are all predicated on “zoning with man to man principles.” Zones will be allowed with man-to-man principles with each defender within arm’s length of an opponent. This will be an important emphasis and distinction this season as teams will have to guard. A defender will still be allowed to sag off of inadequate shooters, but must be in active defensive position and can’t remain in the lane morethan three seconds.